I hope you had a good Christmas and New Year’s celebrations. I am just back from a city break in London with the family. 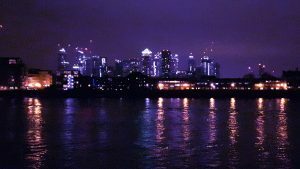 Staying in a flat overlooking the River Thames at Greenwich. 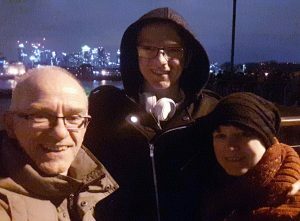 I got to be a tourist in my home city, and we saw in the new year on the key side watching fireworks on the London skyline. I had planned to get this podcast out nice and early, between family poor connection and a noisy environment it did not happen. That is life, and we roll with the outcome. How do you feel about the New Year? It has a special significance for the wife and I as it was our first date, and that was 25 years ago. Hence the city break. However, the New Year did not always represent good times for me. I often struggled with it, certainly as a young man. There was always so much pressure to have a good time, you should enjoy yourself and celebrate! I can remember a New Years at a club in London with friends and feeling alone. It may be party time but it is also a time of reflections. This can be good or bad depending on how the year fell. For many and I have been there it is a question of dressing up the same goals in new clothes and hoping for the best. I have also met people that got the goals they wanted and it did not feel as they expected. I get it. The new year is a definite time marker and proof that what you said you would do either happened or it did not. We are told that. I have met people that plan nothing and manage to fall forward into amazing opportunities. The common aspect of these people is that they are super networkers. Something I will explore is a future podcast. A few years ago I did the 12 week year, I bought the book for Christmas and said this is it I am going to make this happen. The idea is to split the year into 90-day cycles and plan out every action towards the desired outcome. I noticed at the time it just didn’t happen. I didn’t reach the goals or the outcome I was expecting. What happened was that I found it very difficult, first of all, to define a goal that was clearly mine, and to stick with it. Yeah ok, having more business is good, having more customers is good. The drive to do wasn’t really there ( I was pushing myself to create more work for myself) so I started to fall back on the goals I had set and by the end of the 90 days I have probably done less than a quarter of the project. So is that a failing in me? Or a failing in the idea of goal setting and big vision, part of me? It is no secret on this podcast, my key question has been to determine what I actually want from life. In the past, I didn’t choose and it took me a long time to realise that not choosing was actually a choice. So over the past few years, I have made choices but mainly reactive choices not really planning a path but choosing the path of least resistance. It does not lead to big wins. This podcast has changed my outlook and there is more of a proactive direction to my life these days. Setting and achieving goals is still a challenge for me. Given that it is a time of reflections, and there are people out there they want to get stuff done. 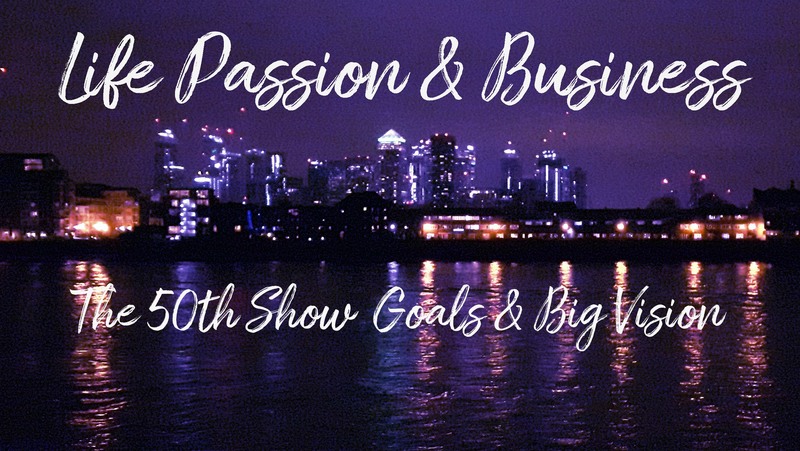 I wanted to use the 50th show to address the idea of goal setting and big vision, and how to approach them from a healthy perspective. So I invited two of my past guests to join me on the programme, both of them have visionary projects. Simon Jordan was guest on podcast three, he is a brand and marketing man. Yes, we are in the same field of business. 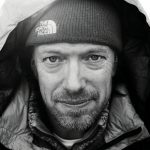 Simon has a new project and its birth and growth is relevant to this discussion. My second guest is Suzy Beaumont. She was a guest on the 37th programme, her project is still unfolding but like Simon, she has made discoveries along the way that flies in the face of how we understand goal setting. So this programme is an exploration of how the three of us have experienced the setting of goals and having a big vision. 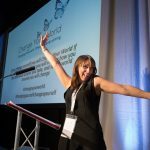 What has worked for us and more importantly what does not work and why? I hope you enjoy this three-way conversation about goal setting and big vision. If you find it useful or disagree send us a comment I would love to explore your perspective.